Explore the different sprinkler placement options for the following 8 x 12 foot yard. 1. 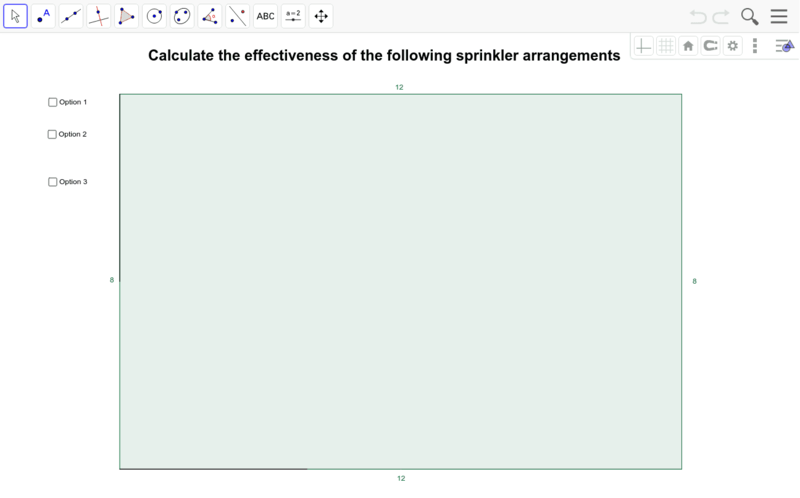 Which sprinkler arrangement is the most efficient? 2. For each option: How much of the yard has double coverage? 3. For each option, how much of the yard is left un-watered? Can you come up with a more effective arrangement of sprinkler heads, why or why not?